Building on the signing ceremony of “Framework Agreement on Deepening Cooperation between Guangdong - Hong Kong - Macau in Promoting Development of Greater Bay Area” in July 2017, Chinese President Xi has called on delegation from the economic Guangdong powerhouse to work with Hong Kong and Macau to make “Greater Bay Area” a world-class business hub in March 2018. 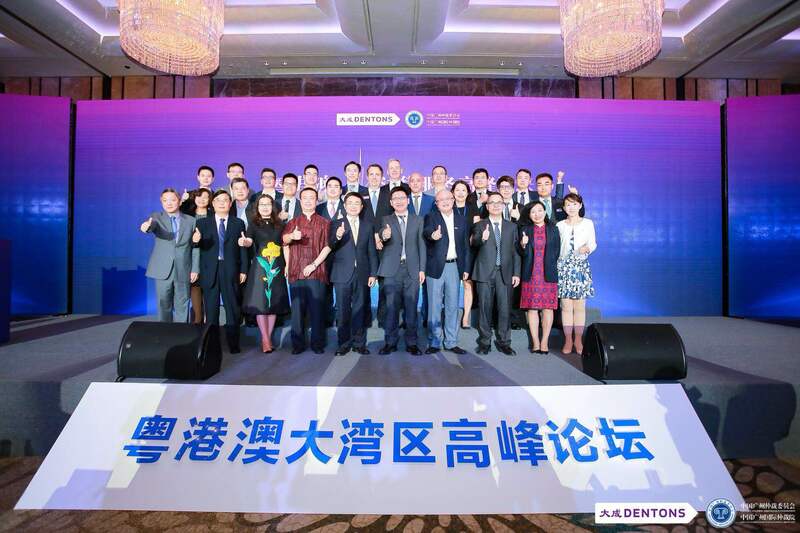 Dentons China offices (Guangzhou, Shenzhen, Zhuhai), Dentons Hong Kong and Guangzhou Arbitration Commission of China, co-organised the 2018 Guangdong Hong Kong-Macao Bay Area Legal Summit Service Forum. 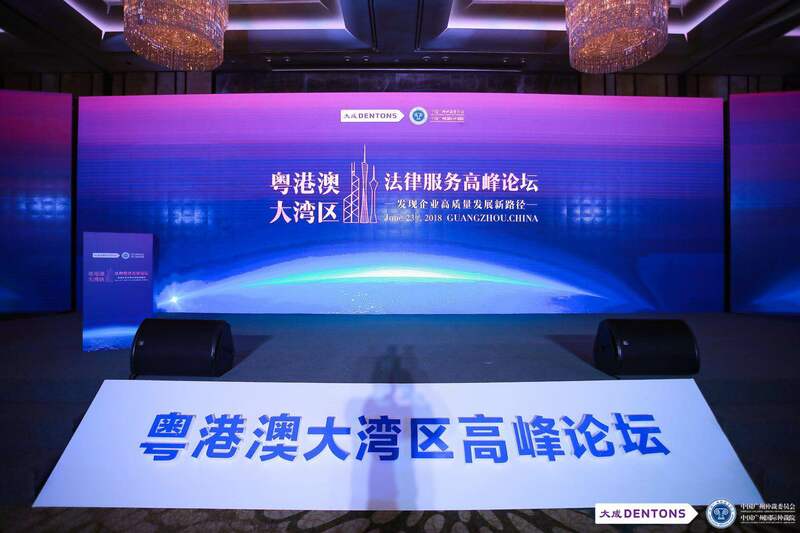 The forum was successfully held in Guangdong on 23 June 2018, brought together over 800 entrepreneurs, clients and industry players. Dentons Hong Kong Corporate Partner Enoch Wong gave a speech on the "Impact of the new listing decision of the Hong Kong Stock Exchange on the listing of domestic companies" whilst Senior Counsel Desmond Lee addressed on the "Resolution of Commercial Disputes in the Greater Bay Area by Arbitration". The content of presentations had well attracted more than 200 professionals and participants.